Don’t let storage costs hamper your investigation. Across the world, law enforcement agencies are adopting digital technology to enhance policing, improve public safety and save taxpayers money. Data volumes are growing exponentially as municipalities roll out electronic criminal record systems, digital fingerprinting applications, video surveillance solutions, body-worn cameras and dashboard cams. Wasabi is deployed in fully secure and redundant data centers that are certified for SOC-2 and ISO 27001 compliance. The service is architected in accordance with industry-best security models and design practices and is CJIS-compliant. Wasabi storage services were awarded the official CJIS ACE Compliance Seal by Diverse Computing, a trusted third-party law enforcement agency solution provider with deep CJIS audit and compliance expertise. Discover affordable, secure and compliant cloud storage for body cam and dashboard cam video. Wasabi awarded CJIS Compliance Seal to ensure law enforcement data complies with state and local statutes. Wasabi achieves CJIS Complience to deliver agencies a reliable, affordable, and secure storage option. Whether you're storing bodycam, dashcam, video surveillance, or doing facial recognition, Wasabi can protect your digital evidence. Law enforcement agencies can use Wasabi to store and maintain CJI in accordance with the CJIS Security Policy statute. 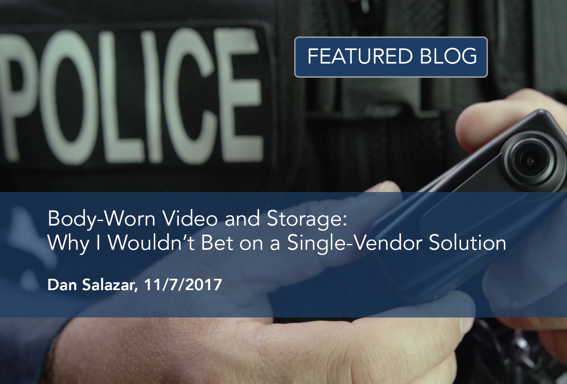 Learn how Novus Insight maintains massive video collections in the cloud at radically low cost for its law enforcement agency clients. Visit our page Wasabi Hot Storage for Law Enforcement to learn more! 30 Days. 1 TB. No Credit Card Required.